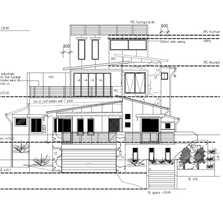 Our in-house experts at Format Conversion can recreate home plans, floor plans and elevations. We help clients manage drawings for all kinds of application, including construction building projects. Our CAD experts use blocks and attributes extensively during our proprietary conversion process. Format Conversion takes every precaution while converting your TIFF image files to MicroStation’s (DGN) format. Mechanical drawings or architectural plans are very intricate images and draftsmen must exercise extreme caution while preparing them. We can customize the levels and layers according to your requirements. We ensure preservation of levels in the form of layers when we convert TIFF files to DWG format. Tagged Image File Format or TIFF is a file format for storing images, including photographs and line art. TIFF is also a popular format for high color depth images. TIFF format is widely supported by image applications such as Photoshop (Adobe), GIMP, Ulead (PhotoImpact) and PaintShop Pro (Corel) and by scanning, faxing, word processing, optical character recognition, and other applications. It is because of their easy view-ability that TIFF files are so popular. But a TIFF file is not easily editable and cannot be used for a lot of purposes in its original form. Solution: We can convert your TIFF files to DGN files. You can send us your files via FTP, fax, e-mail or through CD’s. We will process them and have them sent back to you overnight or as soon as you need them, without any rush charges.